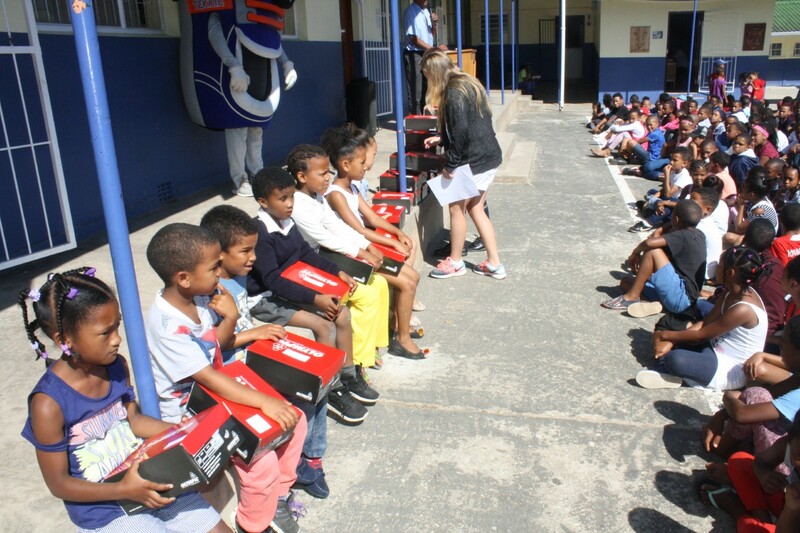 Eyes were shining and smiles lit faces as 59 children from Kretzenshoop Primary each received a new pair of tekkies on Wednesday 12 December, with the promise of a pair of new school shoes next year. 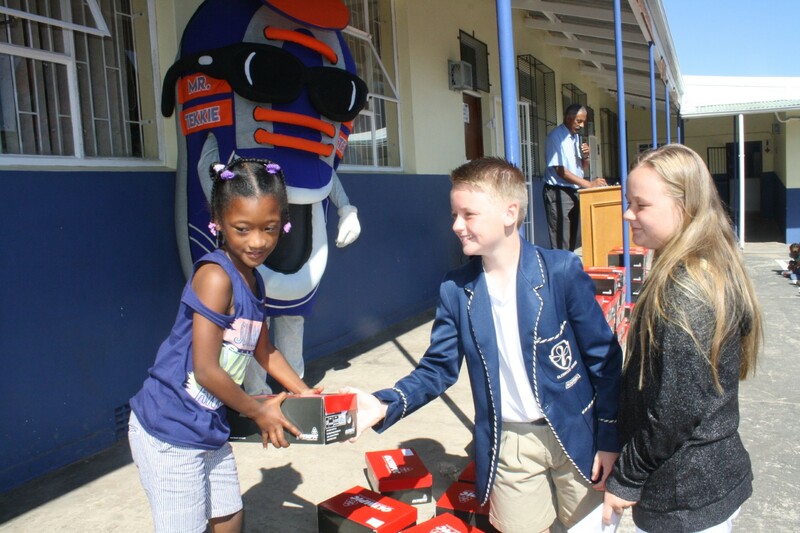 This was made possible by Deagan Erfman, a Grade 6 student at Glenwood House, who raised money to buy school shoes for these learners. 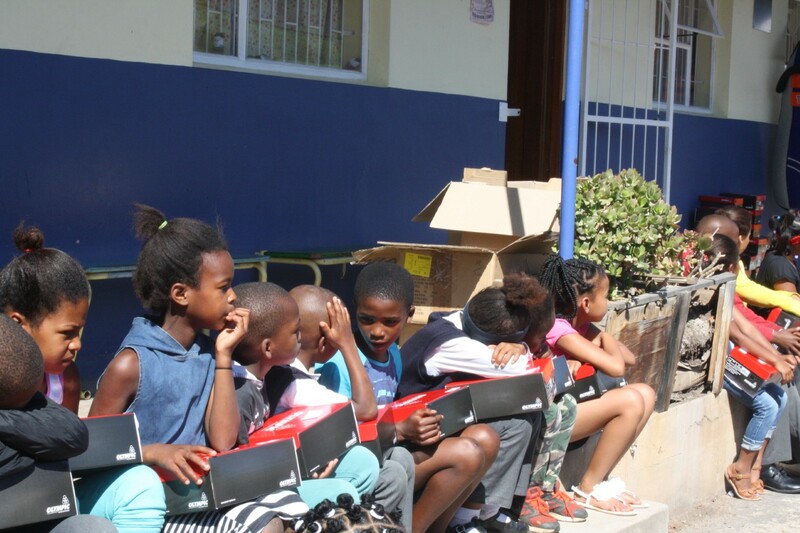 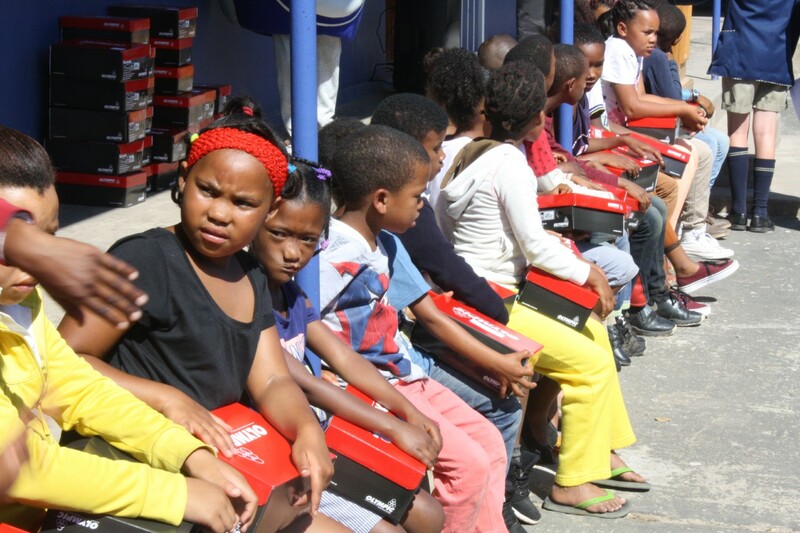 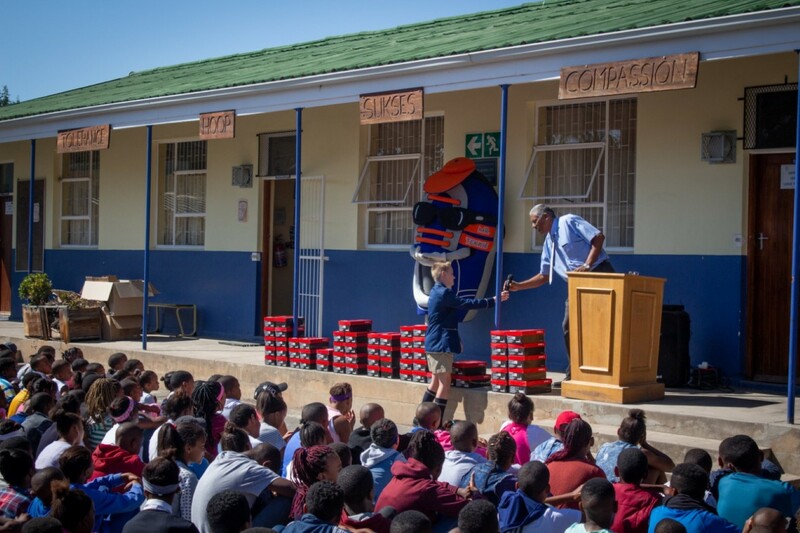 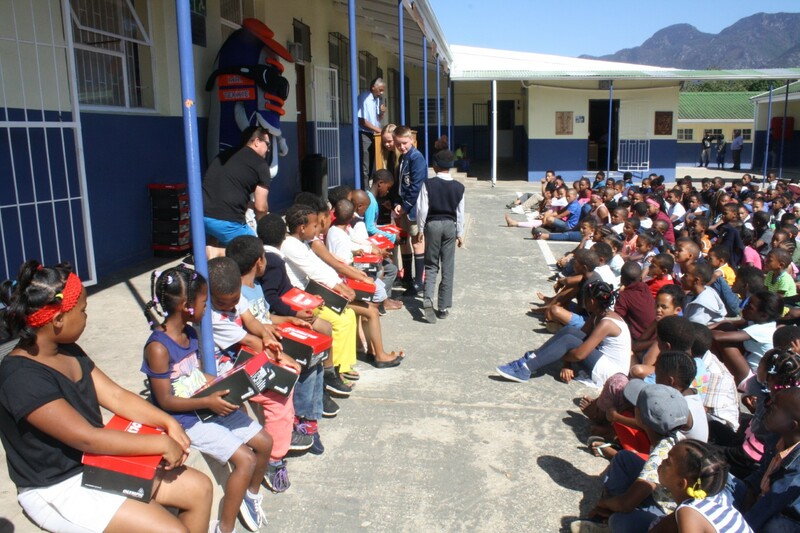 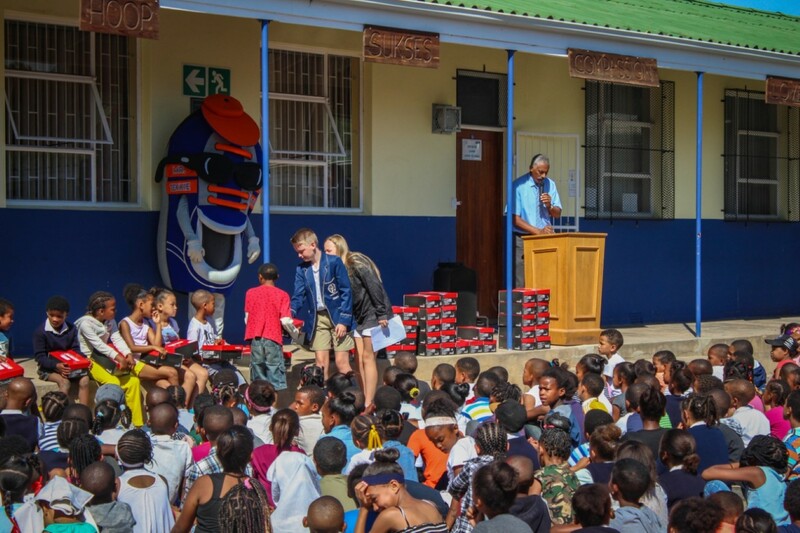 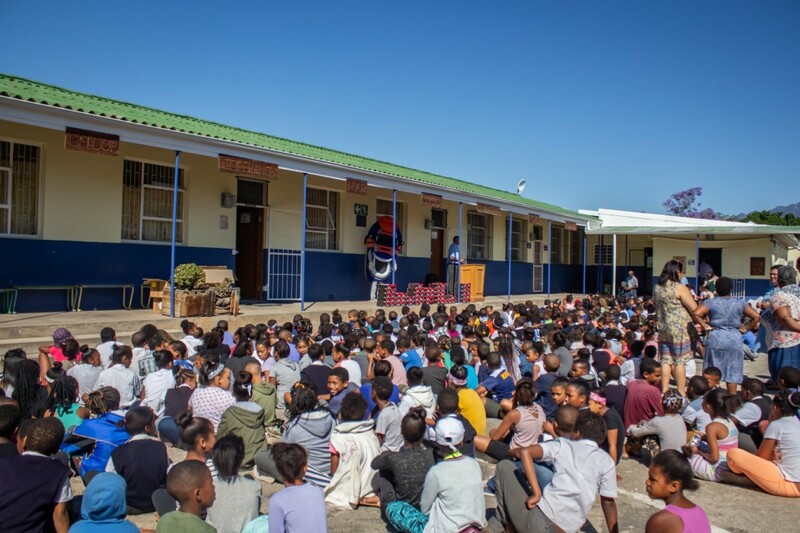 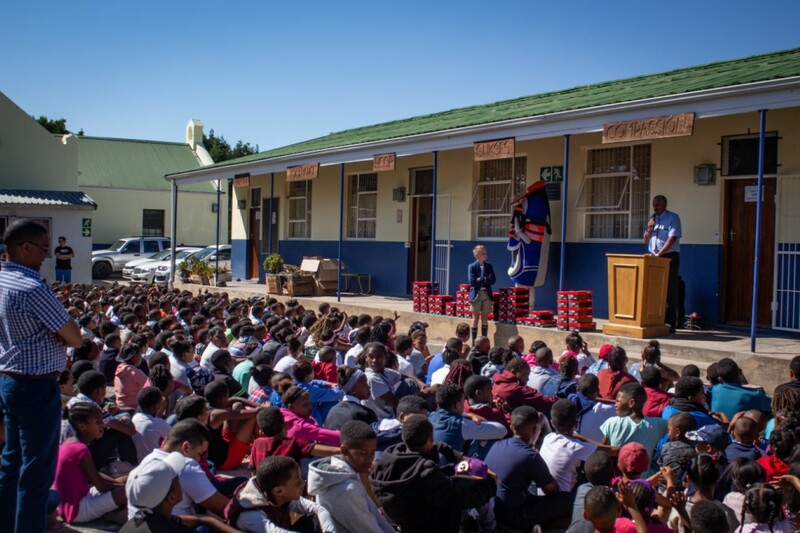 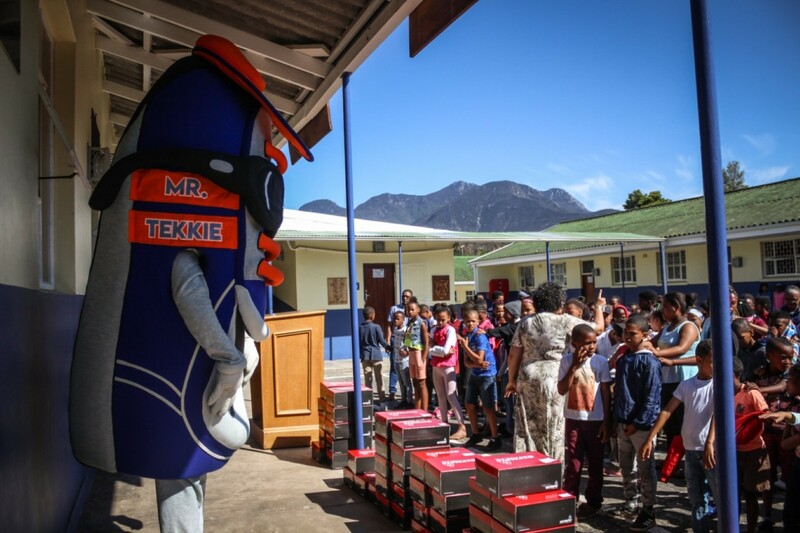 Mr. Tekkie's CEO, Bernard Mostert, responded with a generous offer to match every pair of school shoes with a new pair of tekkies for each child.